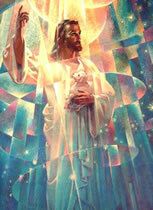 In the early ages, as recorded in the Bible, the Angels walked and talked with men at all times, and in the days that are to come, this will again be so. 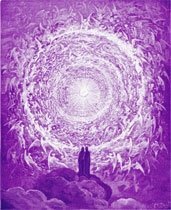 As individuals choose to become co-workers with the Angelic Host, they will have a tremendous opportunity in drawing those Heavenly Beings close to them, in the one manner that evokes the Presence of an Angel, THE RADIATION OF LOVE. When such an individual is found, vast numbers of the An­gelic Host are always bathing in the aura of such a person. You have seen a moth rush towards a flame, and so do the An­gelic Host rush towards a harmonious outpouring of energy, whether through men, or through Nature, itself. 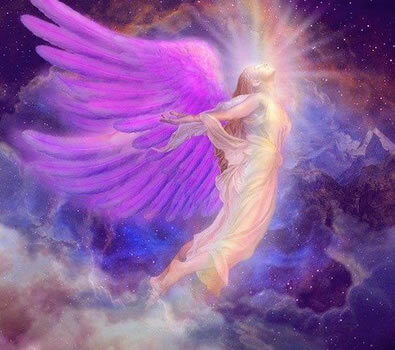 If you would ask the Angels to enter your world, they would bring much of the buoyancy and Cosmic Contentment that your personality requires. They act on the inner bodies exactly as wa­ter does on a thirsty plant. They are a tremendous Healing Agent, and a very great Peace giving Power to turbulent spirits. You may have as many of these Celestial Beings as your feel­ings will allow to enter into your personal association. If you invite them, you will feel their Presence, and after you have once felt their Presence, you will live in a manner that will keep them by your side. Daily Application: You can test this Law by sending forth, as often as you can during the day, strong vibrations of Love, and you will feel the Currents of the Angels return on them, just as if you moved your hands across a harp and struck a note of harmony. 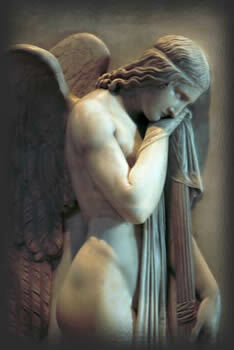 Photograph of an Angel sculpture at St. Peter's Basilica at the Vatican Copyright © by Northstar Gallery; Used with permission.